Ah, Google – when it isn't busy violating data protection laws or driving its employees to embarrassing public meltdowns, the multi-billion dollar company has also created factory lines to rival industrialists like Henry Ford. The difference is, nobody knows about them. Artist and curator Andrew Norman Wilson first came across the shadowy world of Google's temporary labour sector when he was hired by the company as a contractor, only to discover Google's "fourth class": a caste of yellow badge-wearers employed to scan pages for Google Books, who are barred from contact with regular Google employees and enjoy none of the job perks we associate with Google HQ. Wilson's film, Workers Leaving the Googleplex, depicts the Google caste system in action (it also got Wilson fired from his job). 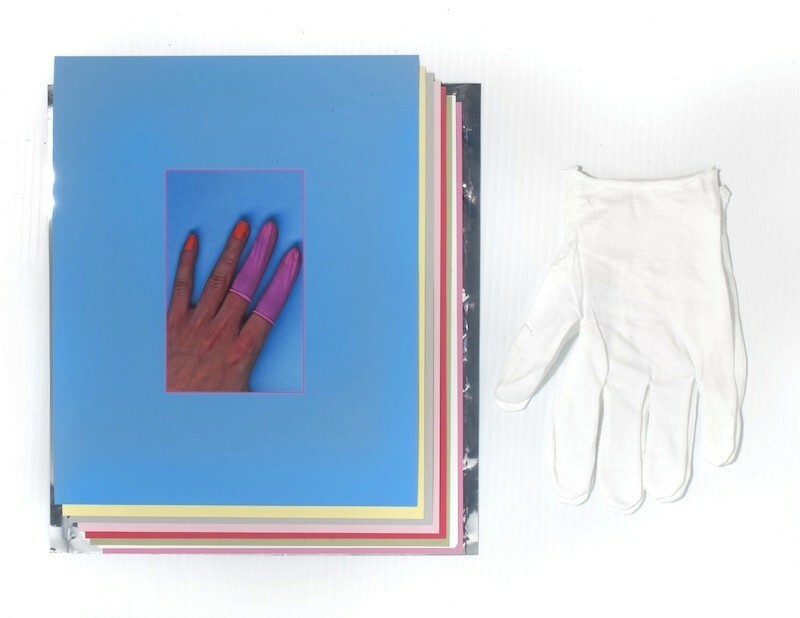 Undeterred, Wilson created ScanOps, a running photographic project that collects the various errors and mistakes made by the workers in the process of scanning books – an errant finger here, a folded page there. Wilson's work documents the low-paid, factory line assemblage that powers one of the world's biggest tech companies, and the ethical questions it raises. “I remember hearing her scream ‘I WANT THIS OFF THE INTERNET!'" Hi Andrew. Why make art about Google? I worked for a year on Google’s campus. While there, I wore a red badge, like most other contracted employees. Full-time Google employees wore white badges, and interns wore green badges. In the video, these “classes” of employees are seen passing by, entering and exiting buildings at the Googleplex. Some of them ride Google loaner bikes; some are seen getting into a Google limo shuttle headed toward San Francisco. This all seemed ripe. I started to document and talk to the ScanOps employees – but was fired immediately. It was intended to be a larger project, but it ended up being quite simple and limited because I wasn’t left with much more than my footage and my account of what happened. Do you intend ScanOps and Workers Leaving the Googleplex as a critique, or are you merely reporting on a little-known side of the corporation? As an artist I’m finding that the theoretical language of critique and ideology feels inadequate for what I’m after. In contrast to distanced political critique, things get much more interesting to me when I can embody an economic position, relationship, or logic of production and then play with it or turn it against itself. This then takes our conceptions of “the global” or “venture capitalism” or “technological progress,” and accompanies them back to the multitude of actual rooms in which these things are actually produced with all the actors that produce them – human and nonhuman. So with my more strategic-intentional work, I'm try to approach corporate entities self-reflexively, often through direct involvement – being employed, paying for connection, negotiating investments, writing to customer service. When you look back at your time spent with the company, what sticks out in your memory? One day an irate woman came into the building that my office was in with a printout of the Google search results for her name. I remember hearing her scream "I WANT THIS OFF THE INTERNET" – she was referring to the second search result, a newspaper article about a domestic dispute from her past. This was in a building that housed no search-related teams, and she was screaming at a receptionist. I like a lot about this – a print out of search results, someone marching to Google headquarters to change internet selfhood, the receptionist as public interface for an online search/advertising company. The internet is confusing.